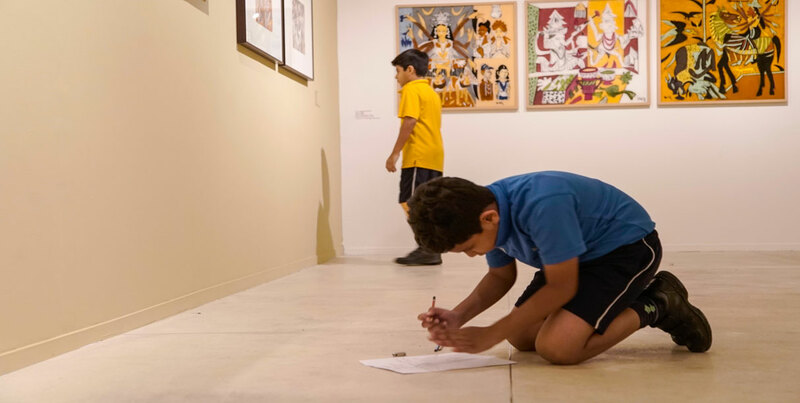 The Museum is a storehouse of history and culture. 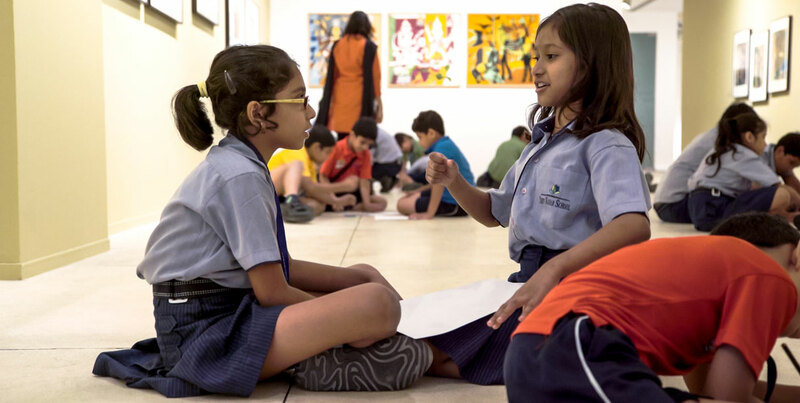 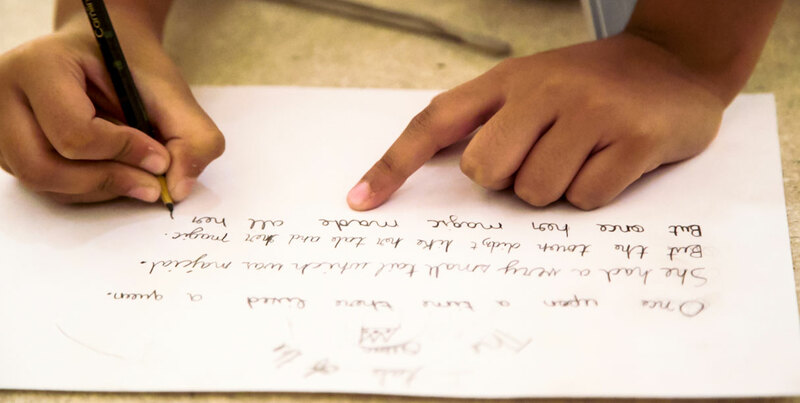 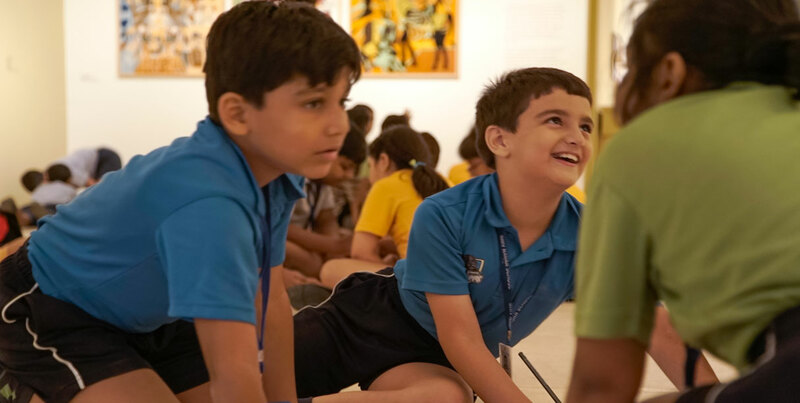 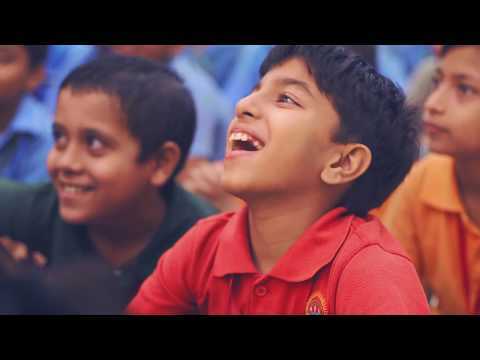 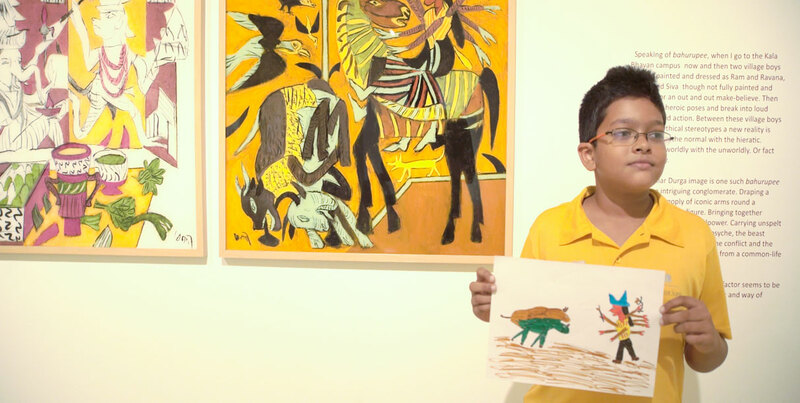 Encountering the artwork, through stories, these workshops encourage children to generate ideas, make observations around the artworks displayed. 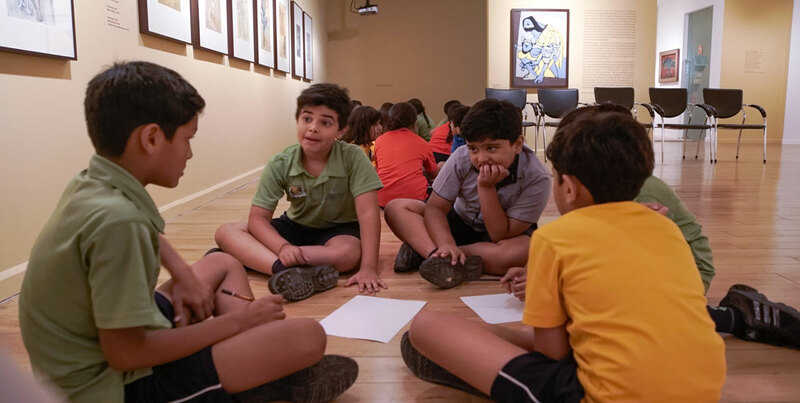 The children are inspired to narrate their own stories; which then become a starting point to create their own drawings and paintings. 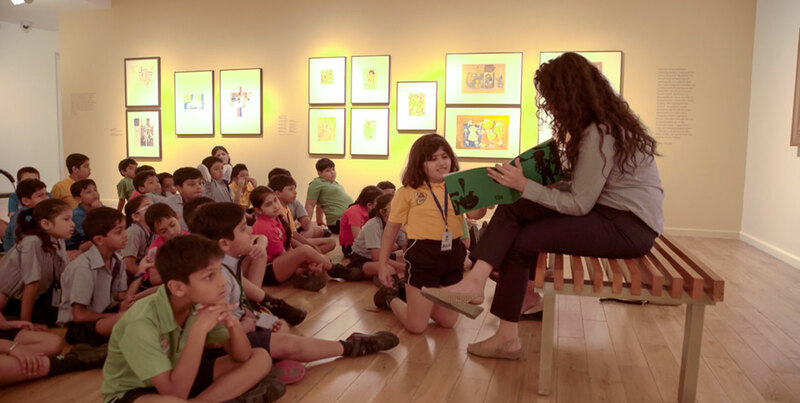 The Museum educators help children enter the realm of their imagination through open ended storytelling sessions. 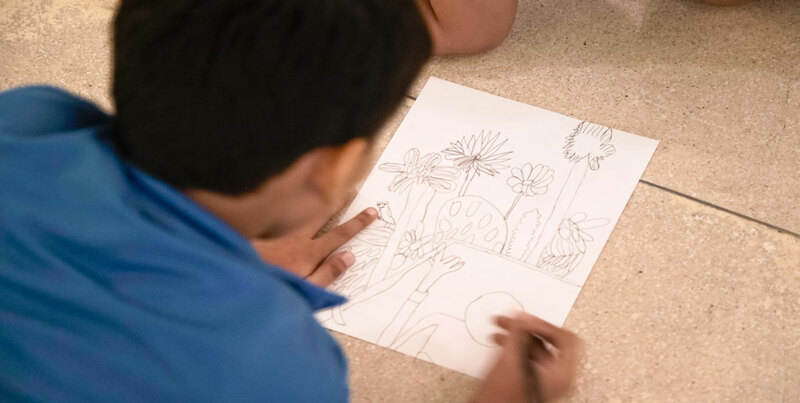 Looking at the painting for inspiration, the class constructs tales through group discussion and suggestion. 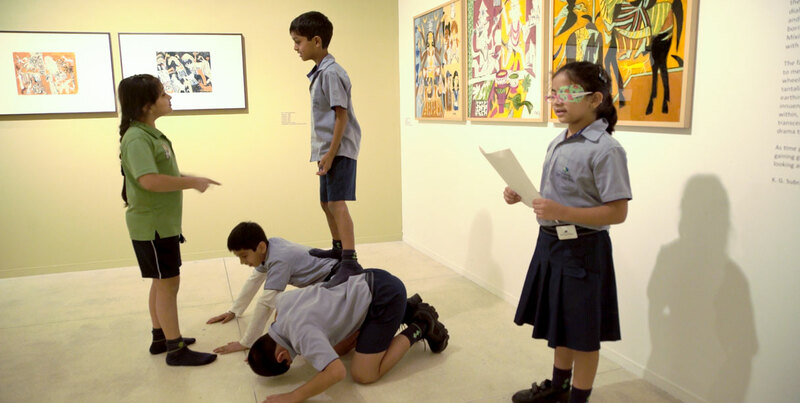 One similar exercise was carried on along with a retrospective celebrating the spirit of late artist K. G. Subramanyan. 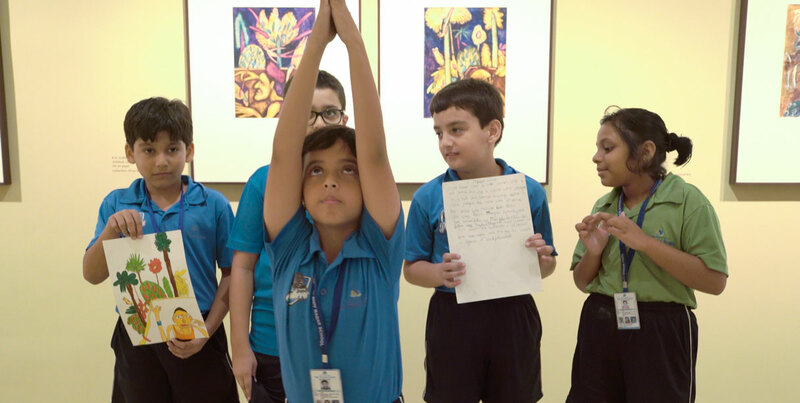 The exhibition held an insight into the life of the artist and his versatility as a thinker, pedagogue, poet, scholar and an institution-builder. 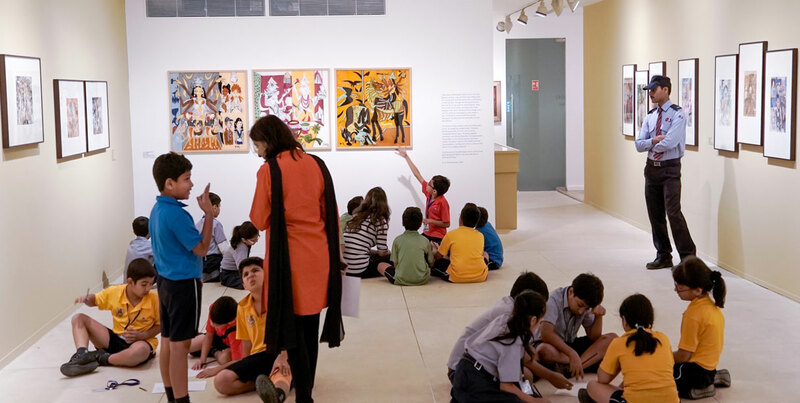 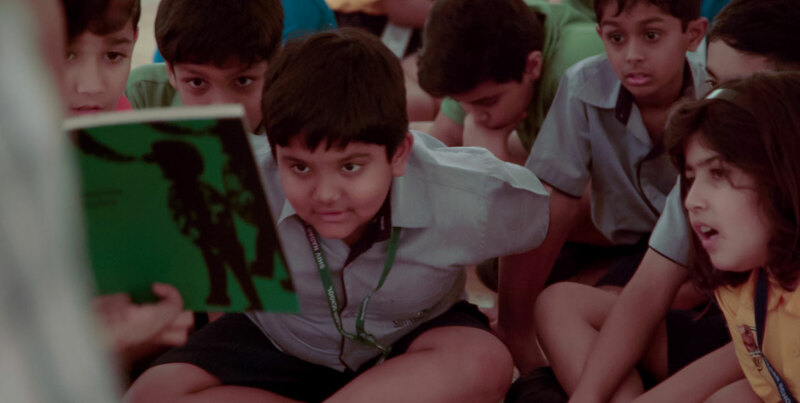 K. G. Subramanyan has written and illustrated various children’s books and these were explored through the workshops carried on by the educators at the museum.